The following table shows an overview of the Top 10 budget multimedia laptops as reviewed by Notebookcheck in the past 12 months. If ratings are equal, the latest review is listed first. The table can be sorted by clicking its headers and filtered by entering text in the text field above it (e.g. "matte"). 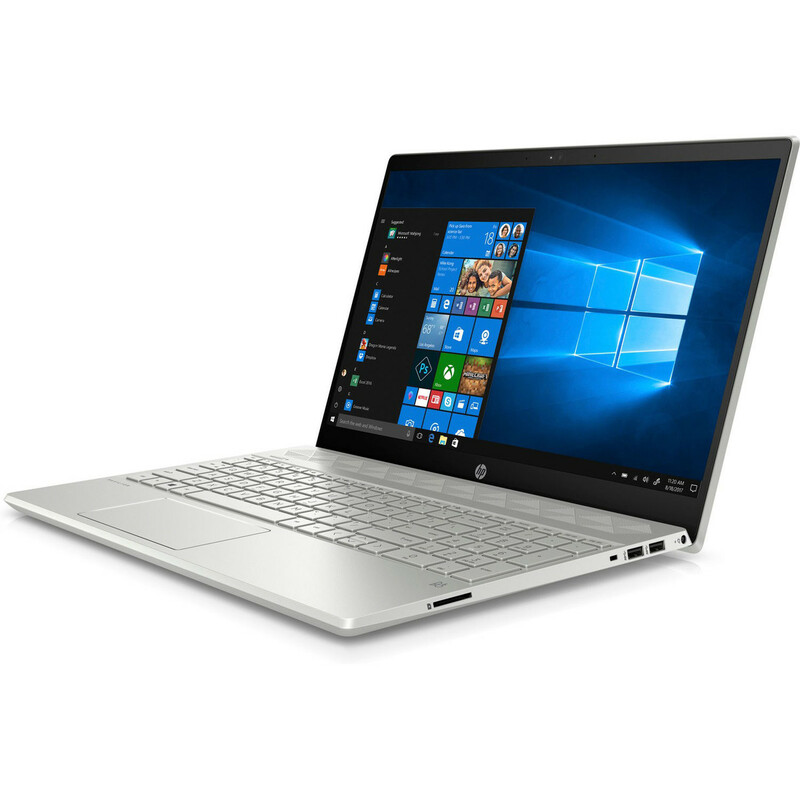 There are plenty of multimedia laptops for under 1,000 Euros. This category features a good price-performance ratio, because all multimedia-class device are equipped with a discrete graphics card and provide decent gaming performance. Inexpensive entry-level models are often shipped with a powerful processor, but the common GeForce MX150 is not a perfect solution for modern 3D games. Manufacturers also try to save money in terms of storage, which can quickly become the bottleneck due to high storage requirements of multimedia contents like games, picture, or videos. You should favor an SSD/HDD combination. 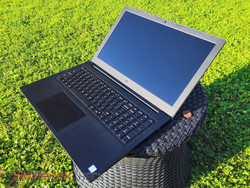 The second place is secured by the IdeaPad 720 (here in review). 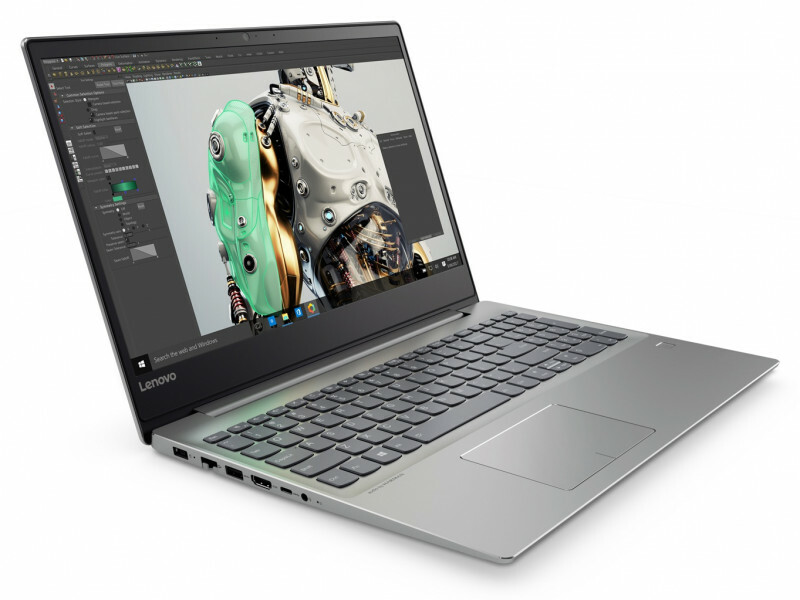 Lenovo still equips the 2018 model with an outdated processor from 2016, but the overall package based on the Intel Core i5-7200U was convincing and got a good score of 85%. The Lenovo Ideapad 720 is priced at under 1,000 Euros (~$1174), so it is a perfect candidate for the multimedia segment. Thanks to the AMD Radeon RX 560, you can also use the notebooks for some gaming. The performance of the Radeon RX 560 is comparable to the GeForce GTX 1050. Lenovo offers a decent laptop despite the old CPU, and the system performance is very good thanks to the PCIe-SSD storage. All in all, the performance of the Lenovo IdeaPad 720 is decent and meets the expectations for a multimedia device. The hardware is surrounded by a sophisticated case with a nice design. We also like the good input devices as well as the steady system performance under load. The Acer Nitro 5 is an unusual device, which can secure a top spot in our Top 10 ranking with a total score of 85%. The big notebook manufacturers usually use processors from Intel. Acer now equipped the Nitro 5 with an AMD Ryzen 7 2700U, which is comparable to an Intel Core i7-8550U. Besides the AMD processor, you also get the dedicated AMD Radeon RX 560X for usable 3D performance. 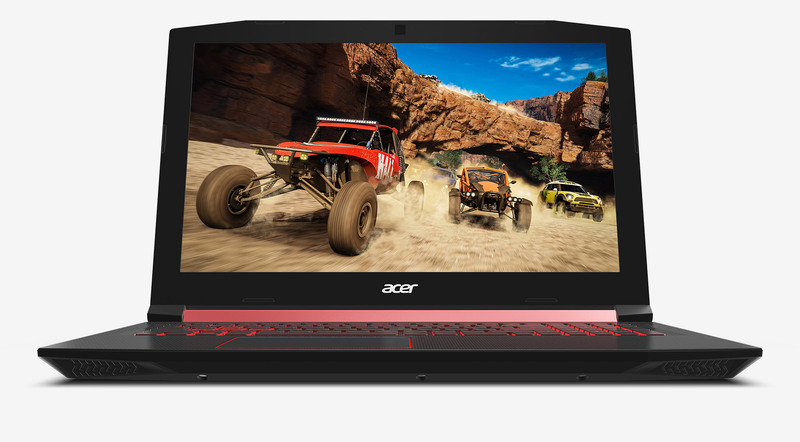 Overall, the Acer Nitro 5 offers sufficient performance even for demanding games. The well-equipped multimedia device does not lack storage, either; 1.1 TB should be sufficient. You get a 128 GB SSD in combination with a conventional 1 TB hard drive for large amount of files. AMD fans will be happy about the combination of Ryzen 7 2700U and Radeon RX 560X, because the AMD CPU is on par with the Intel counterpart. Users get an IPS display with wide viewing angles and a resolution of 1920 x 1080 pixels. This adds to the good price-performance ratio, which is an advantage of the Acer Nitro 5. 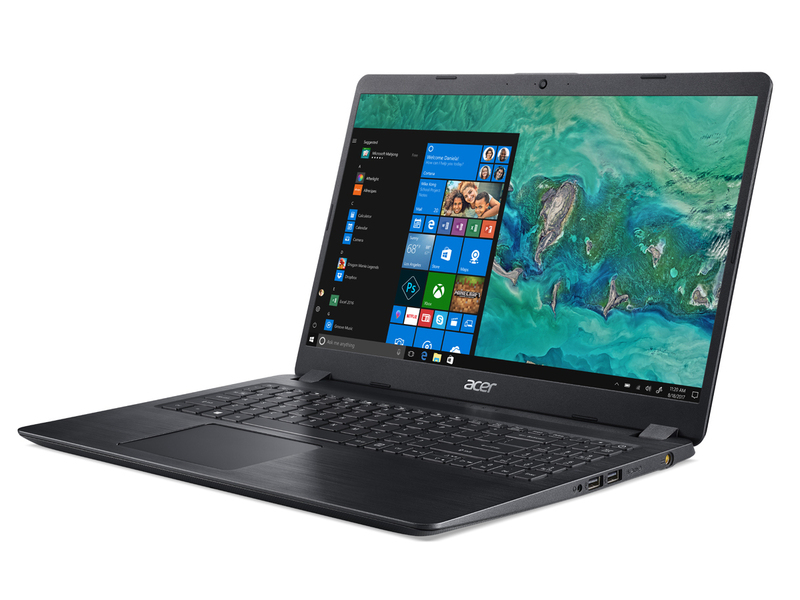 Acer's Aspire 5 A515-52G (here in review) is an inexpensive multimedia notebook based on a Whiskey Lake CPU. The Intel Core i5-8265U is more than powerful enough for the majority of multimedia workloads. The case is now a bit slimmer compared to the predecessor. A fast SSD and 8 GB DDR4-RAM in a dual-channel configuration ensure a responsive system performance. The allrounder is equipped with a matte IPS panel, which is not the brightest model. The step towards displays with wide angles in the low-price segment is still a positive trend. For about 900 Euros, you get a solid laptop with dedicated graphics card (GeForce MX150), which can handle some gaming, but you will have to waive high resolutions and details. You can also implement an additional storage drive if the 256 GB SSD is not sufficient. An empty 2.5-inch slot is available. The Acer Aspire 5 A515-52G is a good allrounder without any real drawbacks. The Xiaomi Mi is not available in all regions. The Xiaomi Mi Notebook 15.6 is a good multimedia laptop from the Chinese manufacturer for less than 800 Euros. The device is unfortunately not sold officially in every region, so there might be limitations in terms of warranty and keyboard layout. The operating system is Windows 10, but the default language is Chinese, so there is some fiddling. You should therefore consider a fresh installation of the operating system. The performance of the Intel Core i5-8250U is very good during our review and the dedicated GeForce MX110 can handle simple 3D games like Overwatch, Team Fortress, or the Fifa-series. We like the mostly silent operation in office scenarios. The Xiaomi Mi is a system with a very good price-performance ratio, but the compromises might scare off some potential buyers. 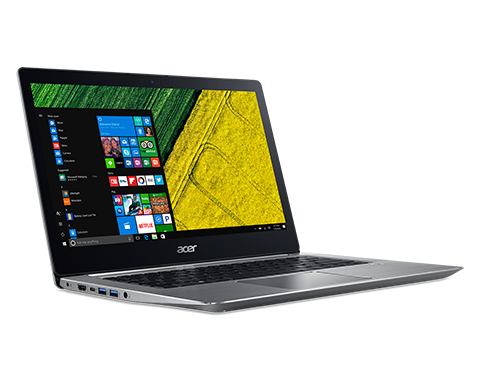 Acer's Swift 3 (here in review) is the familiar Swift 3 laptop, but with AMD's most powerful APU. The Ryzen 7 2700U also features the powerful RX Vega 10 GPU. However, the Ryzen 7 in the Swift 3 is just ahead of the Ryzen 5, and the Intel competition cannot be beaten. 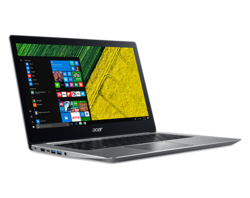 The Acer Swift 3 is an inexpensive alternative to Intel system. it convinces with a good price-performance ratio, because the Vega 10 GPU is superior to Intel's integrated GPUs. The Acer Swift 3 unfortunately uses a bad screen. The device might still be interesting if you can waive Thunderbolt 3 and use it primarily in combination with an external monitor. HP also offers an inexpensive multimedia device. The Pavilion 14 is equipped with an Intel Core i7-8550U supported by 8 GB DDR4 RAM. 3D calculations are handled by the GeForce MX150, which is a good choice for smooth frame rates in simple games. HP updated the chassis and we think it was a success. The tactile impression is good and the design looks modern. Both the excellent build quality and the stability were convincing as well. However, there are many drawbacks. The display is too dark, which makes the use in sunshine impossible. We often criticize the lack of an SD reader. Well, the Pavilion 14 has one, but it only supports USB 2.0 speeds, so the performance is slow. Overall, the thermal management is not good and the fan is clearly audible under load. The HP Pavilion does not have an easy time to find a new owner. It will probably have to be a great deal. 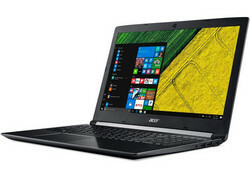 Acer equipped its Aspire A515 with a modern CPU and a dedicated entry-level GPU. The multimedia notebook is further equipped with a 256 GB SSD, which is on the low side. We would also not expect too much of the GeForce MX130 GPU. The A515’s two maintenance openings sit in a well-cooled base large made of metal. Unfortunately, it is quite chunky. The TN panel is definitely subpar and failed in pretty much every one of our evaluation categories. It is the main reason why the device failed to score higher in our ranking. Due to its abysmal display the Aspire A515 failed to score higher in our ranking. The Ideapad 530S (here in review) is an affordable multimedia laptop. It is available with a discreet GPU, but our test model only comes with the integrated graphics adapter. This means the GPU performance is low, but the performance utilization of the Intel Core i5-8250U could have been better as well. 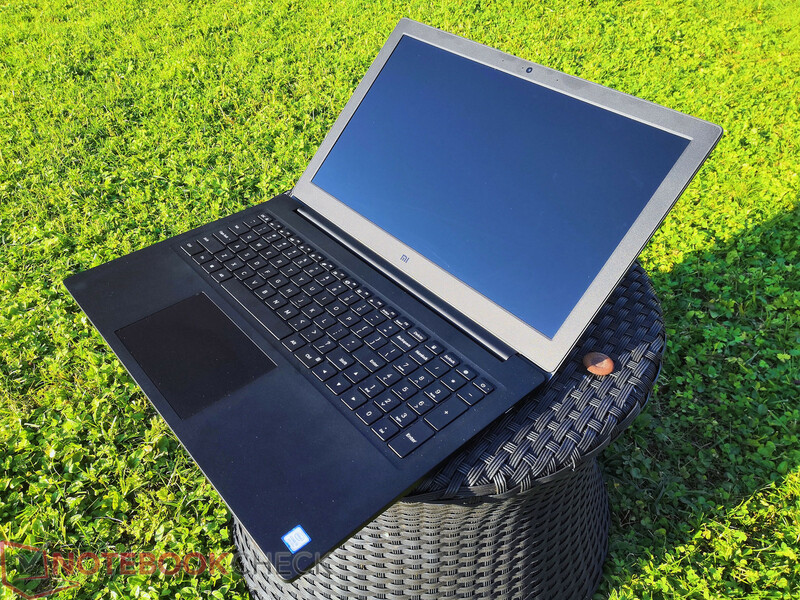 The Lenovo Ideapad 530S is still a nice multimedia notebook with a sturdy chassis. You can maintain it and the system is usually very quiet. We like the anti-reflective surface of the screen, even though the luminance is rather average at 270 nits. 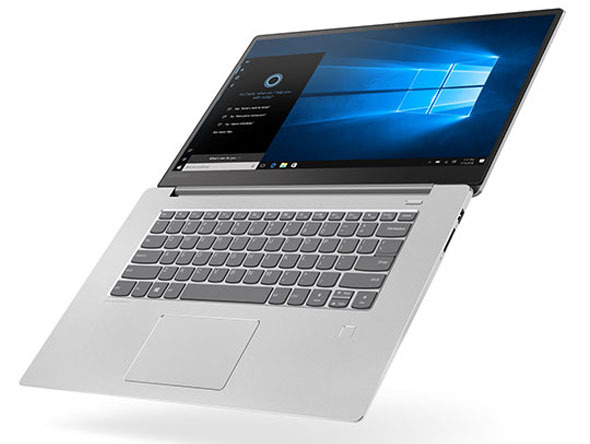 The Ideapad 530S offers surprisingly many features for the small price tag. SKUs with dedicated GPU still retail for less than 1000 Euros. 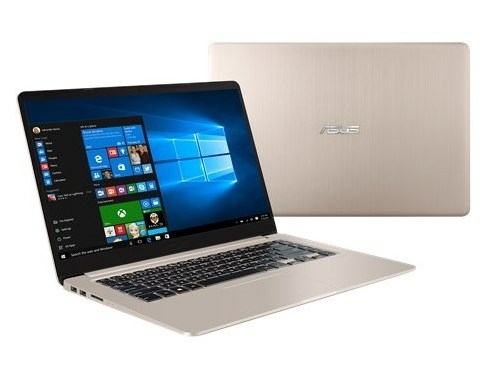 The Asus VivoBook 15 (here in review) convinced with good performance results. The additional performance of the Intel Core i7-8550U is not affected by throttling and the dedicated GeForce MX130 is noticeably faster than the Intel UHD Graphics 620 you can find in many 13-inch laptops. Asus wants to attract customers with a modern design including slim bezels. The crisp and matte IPS panel as well as the decent speaker quality are other advantages. CPU, GPU, and the matte IPS display are the highlights of this multimedia laptop, but the slow hard drive, a cheap keyboard and a loud fan during gaming affect the overall impression. The storage equipment with a 1 TB mechanical hard drive is not up to date anymore. The case looks good, but we have to criticize the stability of the base unit. The same applies for the display, which is too dark and only covers a limited color space. We did not like the input devices, either; the typing experience is spongy and feels cheap. 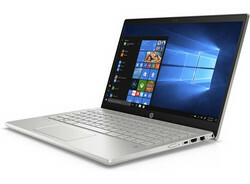 Priced at 800 Euros, the HP Pavilion 15 (here in review) meets the criteria for our budget multimedia ranking. The device is equipped with an Intel Core i5-8250U in combination with a dedicated GeForce MX130. The multimedia laptop also gets 8 GB RAM in a dual-channel configuration as well as a storage combination of HDD+SSD with a total storage capacity of 1.25 TB (256 GB SSD + 1 TB HDD). The modern design looks good and leaves a high-quality impression. The build quality is good, which can also be said about the stability of the base unit. All in all, the HP Pavilion secures a lot of points thanks to its decent system performance. Drawback include the high power consumption, which also results in short battery runtimes. We also noticed the fan noise in our review, which was unpleasant under load. The excellent build quality and the modern design hide the drawbacks of the HP Pavilion 15. Both the battery runtime as well as the loud fan noise under load leave a bad impression.